Why are Interviews Stressful? Interviews have to be one the world’s most stressful activities. Given a choice between a root canal and an interview, I think I would take neither. I don’t like either one for different reasons. I don’t like the pain involved in a root canal or the expense. The interview just throws me for a loop. In both instances, the person on the opposite side feels no pain and is experiencing just another day at the office. Why are interviews so stressful? After doing some thinking about it, I realized what makes it so uncomfortable. Humans don’t like the unknown. Although you prepare for questions and research the company, you don’t know what the right fit for the position is. Did you prepare for the questions they would ask? There are functional questions, behavioral questions, the weird and wacky questions. A quick internet search will reveal a multitude of questions that are possible questions an interviewer could ask. It’s overwhelming. The other factor is the impact the results of the interview will have on your life. Interviewing is not an everyday occurrence. It is a special event that holds your future in its hands. If you get the job, your problems are solved. But if you don’t get the job, you will have to continue looking, and the process will start again. The other issues surrounding unemployment will continue. There are many things you can do to reduce the stress an interview produces. You can prepare the possible questions, dress your best, research the company, and the rest of the interview preparation strategies. However, there is one more thing you can do. Breathe. Yes, breathe. Not the breathing you are doing right now but breathe from your diaphragm. Breathing is something you do automatically; you don’t have to think about it. The process involves oxygen, carbon dioxide and your blood. You need oxygen to live. The oxygen around us is mixed with carbon dioxide that we don’t need. When we don’t breathe properly, the imbalance of oxygen and carbon dioxide exchange contributes to the anxiety, fatigue, physical symptoms and the emotional upset. When we are stressed we tend to breathe from our chest in quick and shallow breaths. This type of breathing causes dizziness, racing heart rate, muscle ache and the other symptoms we feel. This is caused by the low levels of oxygen. The proper exchange of oxygen and carbon dioxide results from the breathing from the diaphragm in a slow, regular pattern. When this happens, your blood is oxygenated, and your autonomic nervous system switches to relaxation mode reducing the stress you feel. You have just turned off the stress and turned on the calm. Next week, I will tell you how to go about breathing from your diaphragm. A method I have successfully used while having a root canal without Novocaine. Looking for a New Job? Do You Have the Right Skills? Yes, you will get a job! Think positive. 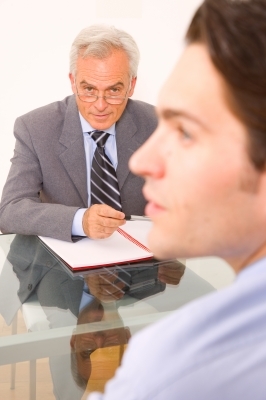 1 Comment to "Interviews are like root canals without Novocaine." have dare to get a root canal treatment. nice post.